LONDON (ICIS)--The UK chemicals industry stands to be among the worst hit in the event of a breakaway from the EU that reverts to World Trade Organisation (WTO) rules, according to the UK’s Chancellor of the Exchequer Philip Hammond. The chemicals, food and drink, clothing, manufacturing, cars and retail sectors will be the most affected if the UK quits the EU without securing any kind of future trading relationship with the bloc, according to Hammond. In a letter to Conservative party Member of Parliament (MP) Nicky Morgan, Hammond estimated that UK GDP would be around 7.7% lower if the UK dealt with Europe under WTO trading rules, which could see tariffs of over 6% levied on some chemicals products. The estimated 7.7% drop in GDP is projected for around 15 years after the UK’s exit from the EU, with the situation for the years immediately following a no-deal exit more difficult to project. 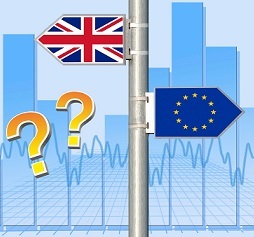 The UK government has started to issue guidance documents informing players in different sectors what to expect in the event of no terms being agreed with the European Commission, and what steps they can take to prepare. Guidance for the chemicals sector is expected to be issued in early September, according to UK's chemical trade group the Chemical Industries Association (CIA). “Under a no deal/WTO scenario, chemicals, food and drink, clothing, manufacturing, cars, and retail were estimated to be the sectors most affected negatively in the long-run, with the largest negative impacts felt in the northeast and Northern Ireland,” Hammond said. Under a no-deal scenario, UK borrowing would be around £80bn/year higher by 2033-34, in the absence of adjustments to spending or taxes, compared to the current baseline. “This is because any direct financial savings are outweighed by the indirect fiscal consequences of a smaller economy,” Hammond added. “While the UK government is confident that it will agree a deal, as a responsible government, it will continue to prepare for all scenarios, including the unlikely outcome that the UK leaves the EU on 29 March 2019 without a deal,” the UK Treasure said in a statement. “This is contingency planning for a scenario that the UK government does not expect to happen,” it concluded. The government issued a white paper last month setting out its vision of a post-Brexit trading relationship with the EU, including significant concessions on adherence with Commission custom rules coupled with a bespoke deal on financial services, which was quickly shot down in Brussels. Neither accession to the European Economic Area (EEA) trading bloc, a standard free trade agreement, nor a no-deal scenario would be the best outcome, according to Hammond. “None of these scenarios represent the government’s stated ambition for our future economic partnership with the EU,” he said. The prospect of a no-deal Brexit remains daunting, according to CIA's CEO Steve Elliott, but the increased transparency from the government on what their expectations are of the impact on different sectors is a welcome development. “It is reassuring to see the UK government addressing the consequences of a ‘no-deal’ Brexit and the actions that our sector might need to consider,” he said. UK private sector lobbyist the Confederation for British Industry (CBI) was more damning, saying the evidence that adoption of WTO rules would be disastrous for the country’s economy is undeniable. “These papers show that those who claim crashing out of the EU on WTO rules is acceptable live in a world of fantasy, where facts are not allowed to challenge ideology,” said CBI deputy director-general Josh Hardie.